Making the transition to student life can be daunting, you’re going to meet new people, have new responsibilities and face new challenges. During Freshers’ Week and moving on into your first semester at university, it is important to keep an eye on your mental health and possibly take steps to improve your situation. If you’ve moved away from home and into student halls you may be feeling like your new, probably beige, surroundings aren’t helping make you feel at home yet. It’s important to take some time to make your room your own, unpack all your things, print pictures of friends and family and make your space as homely as you can. QMU is having a houseplant sale outside the union on Thursday and Friday from 9am, pop down and pick up some greenery. Enlist the help of your flatmates to make communal spaces nice places to hang out in. The more grounded your home feels the more this may help you settle in and feel comfortable. Physical health goes hand in hand with mental health. This may be the first time you have been solely responsible for feeding yourself and it’s important to ensure that you are eating enough to keep you fuelled throughout the day. Although it may be tempting to spend most the day in bed after a night out at the union, heading outside to have a look around campus and the West End will help you get used to your surroundings and may even help your horrendous hangover. Getting enough sleep at the right times is also important for overall health. Freshers’ Week can feel non-stop but catch up on sleep where you can. Despite the pressure you may feel to go out and drink every night, it’s good to remember that Fresher’s Week is only one week out of 4+ years of your degree, if you take it easy for one night it’s not the end of the world! The same goes for making friends, there will be so many opportunities throughout your time in Glasgow to make friends so don’t worry if you don’t feel like you’ve made friends for life in the first few weeks! Staying cooped up in your student halls during the day could leave you feeling isolated, there are plenty of events on during Freshers’ Week during the day that can help you meet new people and get out and about. On Tuesday and Wednesday the QMU Fayre will be held where you can meet lots of new people and see what qmunicate is all about. QMU is also holding a Yoga class on Thursday morning in the Committee rooms. While it’s important to socialise and meet new people at the start of uni it is equally important to take time for yourself. It’s okay to lock your door for a few hours and relax, take in the changes that are happening and reflect. There are a number of new apps on the market that can be very helpful. Headspace is a free app designed to teach meditation and mindfulness, it uses 5-10 minute audio clips each day and claims to help you destress and even sleep better. MindShift is another free app which is aimed at young people to help them cope with anxiety. It has specific tools to help tackle problems such as panic and social anxiety. There is a website called Students Against Depression which provides information and help regarding mental health and is aimed specifically at students. It is important to remember that while there are steps to take to alleviate the struggle with mental health at uni there is nothing to be ashamed of if your mental health does take a hit while starting uni or if you were already struggling before you came. It is perfectly normal and common to have these feelings and there is plenty of help. The university has a Counselling and Psychological Service. You can register anytime for a block of counselling which will be tailored to whatever your needs are. The service can help with anything from depression and anxiety to bereavement and anger issues. Also offered are 50 minute drop in sessions which you can book online on the day on the website. 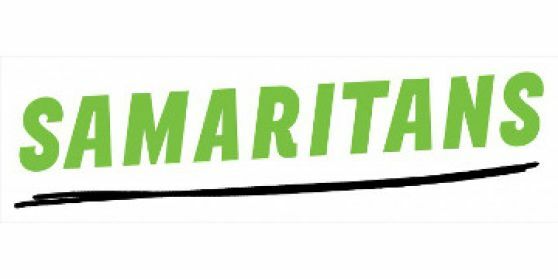 For further help you can contact The Samaritans, they offer drop in sessions at 210 George Street from 9am-10pm, they can also be contacted by calling 116 123 or emailing jo@samaritans.org. Breathing Space has a free and confidential phone line which you can call on 0800 83 85 87, their helpline is open from 6pm – 2am on weekdays and throughout the weekend.